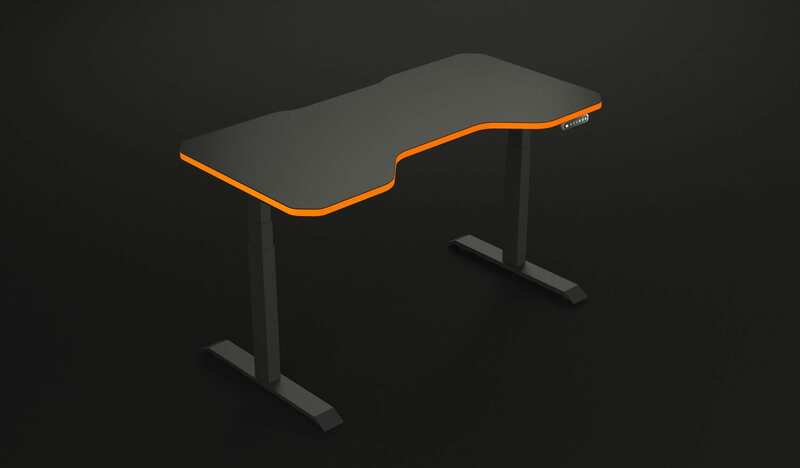 Our LeetDesk Core model will suit almost everyone with it’s ample space yet compact design. Set up your table to fit your needs! Find your most comfortable height so you can go into your game fully relaxed, needing only to focus on the game itself! Lift it up fully to stand up in between matches to shake out your legs and improve your blood circulation or play more casual games while standing! Don’t worry about breaking stuff or yourself while the table is moving thanks to the advanced anti collision system that will stop movement of the table as soon as the table is bumped. Set your height precisely to the milimeter you want with the help of the LED Display. Eliminate the need to remember the exact height with 3 memory settings that you can set to whatever you want! Have one setting for your preferred sitting height, one for standing and one for when your friend or sibling uses the table. Press a button and watch the table move to the height by itself! Move closer to the action and comfortable rest your arms on the tabletop! Have your whole underarm on the tabletop and improve your precision and relax your shoulders! Never worry about your cables being stuck between your tables and the wall again! The handy cutout at the back of the tabletop allows you to neatly funnel your cables to the back and through the table, preferably into our specially designed cable management rail. It further allows you to conveniently attach your monitor arm to whichever position you like. Hang your PC in this size-adjustable PC Holder to remove cable clutter under and behind your desk! Never worry about a cable being tumbled in a big bundle again! Put all your cables in this cable management rail and keep them all organized and out of sight! Put your extension cord in this rail to keep the clean look!